This sampler box is wonderful gift for the foodie who loves to throw parties! 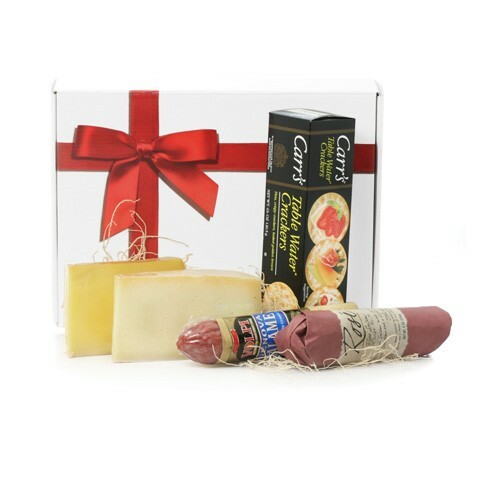 Included are a variety of different cheeses and salami with a box of crackers. Occasionally substitutions of equal value must be made but the theme of the basket is always consistent.